Many Call of Duty fans were ecstatic earlier this month upon hearing the news that Activision could be planning to release a Call of Duty: Modern Warfare 2 remaster. After all, this is one of the better entries in the long-running franchise, and it’s likely more than one Call of Duty fan would like to replay this old gem on current-gen consoles. This would not be the first remaster Activision has released to date, as the US company put out Call of Duty: Modern Warfare Remastered back in 2016, a remaster of what’s arguably the best Call of Duty game to date, which was well-received by both gamers and critics alike. This was despite the fact that the Modern Warfare remaster was originally bundled with Call of Duty: Infinite Warfare, an entry in the series that is reviled by quite a few fans of Activision’s military shooter series. And now we know that a Call of Duty: Modern Warfare 2 remaster is indeed in the works, and will likely ship on April 30 this year. This was revealed by website CharlieIntel and apparently has also been confirmed by sources close to gaming outlet Eurogamer, meaning Call of Duty fans eager to replay (or discover for the first time) this Call of Duty classic are no doubt in luck. There is one caveat though, and this is that the remaster will be released without any kind of multiplayer according to Eurogamer, something which at first seems like an odd thing for Activision to do. 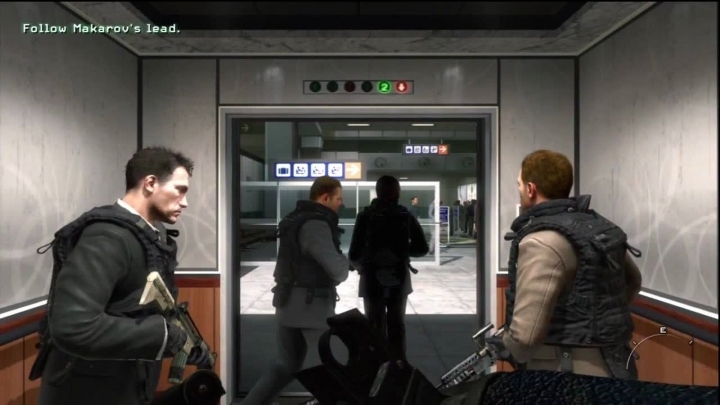 This is because the multiplayer side of things has always been the main attraction of the Call of Duty games, and Modern Warfare 2’s multiplayer also received praise back in 2009. But still, at least this will help make the cost of this remaster a bit more reasonable, and a recent listing on Amazon Italy suggests Call of Duty: Modern Warfare 2 Remastered will be selling for €19.99 Euros (about $25 US dollars), quite a bit less than Call of Duty: Modern Warfare Remastered which was priced at $40. Also, the lack of multiplayer is understandable as Activision might not want to split Call of Duty fans between too many games, and would likely prefer most players jumped on the Black Ops 4 bandwagon later this year. Either way, it’s also clear Call of Duty: Modern Warfare 2’s campaign is a thing of beauty, even if it features the wildly controversial “No Russian” mission which seems to be mentioned every time the subject of video game violence crops up in the media. So, it’s likely that despite the lack of multiplayer quite a few people will be looking forward to this Call of Duty: Modern Warfare 2 remaster then, so it would be a good thing for fans of the franchise is this was worth the price of admission when it is released later next month.